One of the key advantages of hosting your wedding in one of Thailand’s exclusive private villas is that you have the flexibility to plan the programme for the day to exactly the schedule you like. While most weddings in the West take place in mid to late afternoon, with a reception that lasts into the small hours, a growing number of folks getting married in destinations like Thailand are choosing to do as the locals do, which often means hosting their weddings much earlier on in the day. There are plenty of benefits to starting your wedding day early, below are just a few of the advantages. In a tropical destination, you can’t overlook the practical aspects of getting married earlier in the day in order to beat the heat, which generally reaches its peak in the early afternoon. If you’re not used to the tropical heat, then getting ready, greeting guests and saying your vows under the sun can be uncomfortable. By hosting your ceremony a few hours earlier, you get all of the formalities over with before the sun reaches its peak. Thais tend to get married just after dawn (around 7ish) for this very reason, but if you aren’t a morning person then a 10am ceremony will still mean a cooler ceremony. For many people on holiday, breakfast the most important meal of the day, and if you decide to have a brunch wedding, the menu can offer up a whole array of unexpected treats that people will probably never have sampled at a wedding before. The include buffet line-up can bacon, eggs, pancakes and waffles, while more traditional Thai breakfasts like rice porridge with pork, also known as “jok” will appeal to savoury palates. 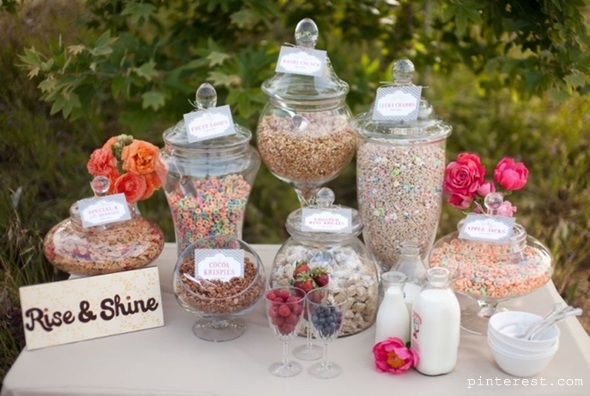 Instead of a help yourself sweets bar, a colourful cereals bar can be part part of the feast, with a range of morning treats for little ones included. Hosting a brunch wedding also means that you get to make the most of those oh-so-delicious morning beverages. 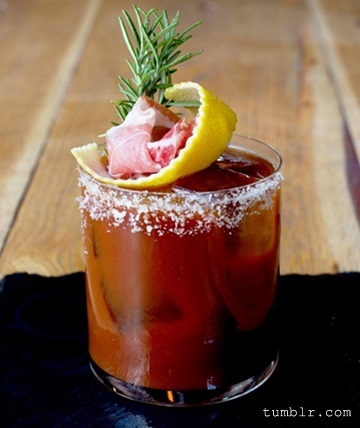 Bloody Marys, Bellinis and Mimosas are the perfect choice for daytime wedding cocktails, and champagne is also the perfect accompaniment to an exquisite eggs benedict. It’s also easy to cater for guests that don’t want to drink alcohol earlier in the day. A fresh coffee cart can be set up for those in need of a caffeine kick, while a juice bar can serve up healthy smoothies and nutritious juice shots to keep people energized through the day. If you want to break away from tradition and host a less formal wedding ceremony, the morning is the perfect time of day to introduce a more relaxed feel to the proceedings. 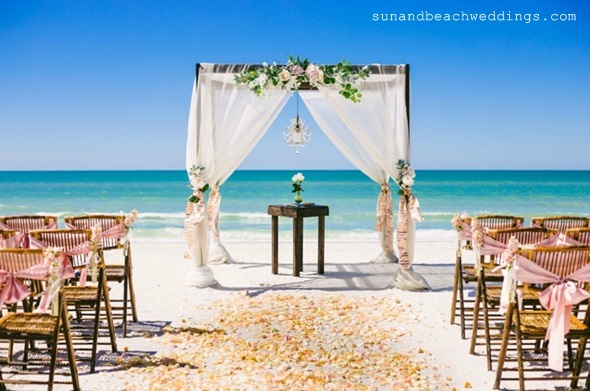 If you’re planning to hold the ceremony on the beach next to your private villa, it’s fine for the bride to wear a shorter wedding gown at this time of day. The same casual feel can also be applied to the decorations. After all, no one will expect elaborate centerpieces and dramatic lighting displays at mid-day. 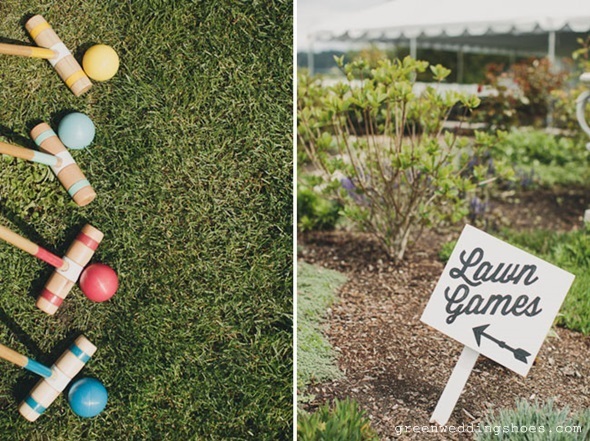 If the bulk of your wedding day will be taking place in natural light, you have the perfect excuse to introduce a few outdoor activities into the schedule. Many of Thailand’s private villa venues come with their own generous landscaped gardens, so why not set up a few lawn games like croquet for guests to entertain themselves for a couple of hours in the afternoon? Alternatively, if you want to make the most of the private pool, get the party started at around 2pm just when the sun is really starting to heat up. Guests can lounge in the pool or on one of the comfy day beds next to it, enjoying the fabulous tropical surroundings.